Harnessing the power of email marketing to help improve your SEO results may not be the top strategy you’ll consider in your marketing plan. After all, it’s not easy to find a strong connection between the two. Search engines don’t rank marketing emails and most of the time, the goal of an email campaign is about open and click-through rates, and not to boost SEO. But given the effectiveness of email marketing in generating traffic and driving engagement, it’s worth looking at how it can complement your SEO efforts. Since 51% of people discover new websites through email, the visits, engagement, and response you get from emails can boost your search engine rankings — and there’s still more to it than that. Before you take advantage of email marketing to boost your SEO, it’s best to get a clearer perspective of the connection that binds them. Why use email marketing to boost SEO? Although they serve a different purpose in your marketing plan, email marketing and SEO have a lot in common. Making these channels work effectively in conjunction can bring the search engine results you’ve always desired and result in an effective online marketing campaign. Both email marketing and SEO are top channels in generating ROI. Similar with SEO, email marketing is continuously evolving and adapting to new use trends, such as the increased use of mobile devices to access websites, read emails and blogs, etc. Both are also used for content promotion and generating leads. Acquiring strong inbound links is an essential factor in improving your SEO. Use your email marketing campaigns to encourage users to link to your posts or specific pages of your site. Likewise, you can also create content digests with URLs leading to specific articles. Having more links pointing to your site gives you a higher domain authority. Getting more active and engaged users that comment and share your pages brings better search rankings. One study even showed that email increases onsite engagement. Keeping your email audience actively engaged and making them come back to your site helps you maintain a more engaged overall audience. You can improve the visibility and performance of your website content by promoting it through your emails. You can send a weekly or monthly digest with a recap of your site’s notable blog posts and events. You can then invite subscribers to finish reading it on your website. Doing so increases the visibility of your posts and drives more traffic to your site, thus heightening your chances of getting backlinked. That’s exactly what Lonely Planet did in their email. Making email marketing and SEO work hand in hand can generate better results for your business. Here are several benefits of using email marketing to boost SEO. A website’s user engagement metrics — such as bounce rates — positively correlate with its Google search results ranking. Though bounce rates and rankings may have a meager -0.08 correlation, it doesn’t mean it can’t affect your SEO in any way. According to a study by Moz, a lower bounce rate is often a good indication of user engagement. The study found that when bounce rates rise, rankings tend to drop, and vice-versa. A high bounce rate will pull your ranking down even with the best “SEO writing” or a heavy site traffic. But small-business websites tend to have high bounce rates. So what do you do? Cut your bounce rate by creating outstanding content and linking to it in your email newsletters. After all, clicks from email links are counted as part of your site’s traffic. What’s more is that 84% of sharing happens via email, IM, and text — and the more shares your content gets, the higher the engagement. Linking your site’s content in your emails is an effective way to control the quality of your site visitors, especially since visitors from email links are more likely engaged and interested in your content. Link your search bar, add a “read more” section or include post links in your email to encourage subscribers to check out your website. This way, your subscribers can visit several pages at once. Social media pages do count towards your SEO ranking. There’s a clear relationship between social media sharing and SEO, as further established in a study by Google. When implemented correctly, email marketing can be an effective way to boost your social media stats and the engagement rates of your content. Hook people to your content by cross-promoting your other social channels and content to help grow your numbers organically. How do you do that? It’s a pretty simple method: you make it easy for subscribers to share your content by adding links and share buttons in your emails. This encourages your most enthusiastic visitors to promote your content across their social channels. Tailor your email content and highlight calls to action to encourage your subscribers to like, share and comment on your content. The higher your engagement rates on each content post, the higher it’s ranking will be in search engines. 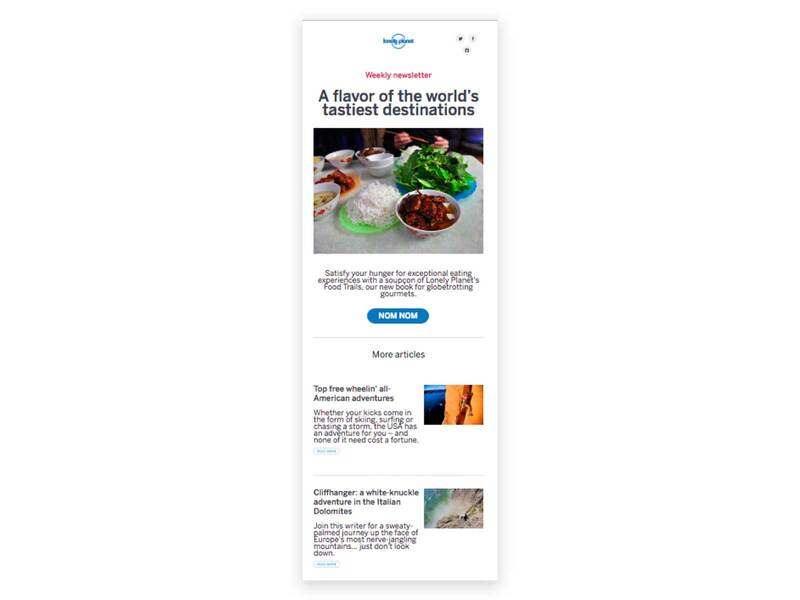 In this newsletter, Sony is asking their subscribers to check out and follow their boards on Pinterest. Inbound links are a great way to increase your SEO. As mentioned, if your site gets more links from relevant and high-authority sources, the higher your domain authority will be. A strong link building strategy involves crafting content people crave and promoting that content constantly. When more authoritative and trustworthy pages read and link to your content, Google will consider your content more authoritative and your website as a reliable source of information. This results in an improved search ranking, thus attracting more visitors both new and existing. Try to get more inbound links by creating skyscraper content out of an already existing blog post and sending it to the right people. Your subscribers then get relevant content they would want to share. Another thing you can do is to encourage your recipients to use the links to your website anywhere that might be useful to them — their own blog posts, comments, etc. Getting more inbound links through your emails will give you more website traffic and a better ranking in your SEO. Content is one of the top ranking factors Google uses to drive search results. Hence, having quality content — one that’s relevant, informative, personalized and optimized — is more important than ever. Delivering quality content through email helps promote your site and improve your SEO. What makes it better is that you can send personalized content based on the interests of your audience by segmenting your list. Using your email list can give you more in-depth information about your target audience, thus allowing you to deliver content that’s relevant to them. This is where email segmentation and CRM tools enter the picture. Email segmentation and CRM tools let you create custom email marketing lists, thus allowing you to target and deliver personalized content straight to the inbox of subscribers who would most likely find it valuable. For instance, you can segment your email list according to location, interest, gender, job title, and more information related to your subscribers. Another thing you can do with your list is conduct surveys and polls asking your subscribers what they want and need. Then you can use this information to build content (i.e., blog posts, videos) targeted towards them, and deliver that content in your emails. When your subscribers receive the information they need, they’re more likely to open your email, click on the links, and proceed to your website — therefore, increasing its traffic. Good emails take time to write. Even if these value-packed pieces of content don’t have any direct impact on your rankings, they serve a greater purpose beyond your inbox. Exceptional email content can be reused and repurposed as blog content. You can boost your SEO ranking by converting and editing your long-form newsletters and emails into articles or batch smaller ones as blog posts for everyone to read and enjoy. You can also keep newsletters in an archive on your site so your readers can see the kind of stuff you’re sending to your subscribers. This also opens an opportunity to get new subscribers in the process. Email marketing and search engine optimization may seem fundamentally different at first glance, but try to go beneath the surface to better understand how each can benefit the other. Yes, emails won’t directly bring your rank higher, but it can help move the needle when it comes to the factors that affect your ranking. Utilizing your emails to get more inbound links, encourage social following, improve bounce rates, and deliver relevant content helps bring in more traffic and engagement to your site — thus resulting in a better website ranking. 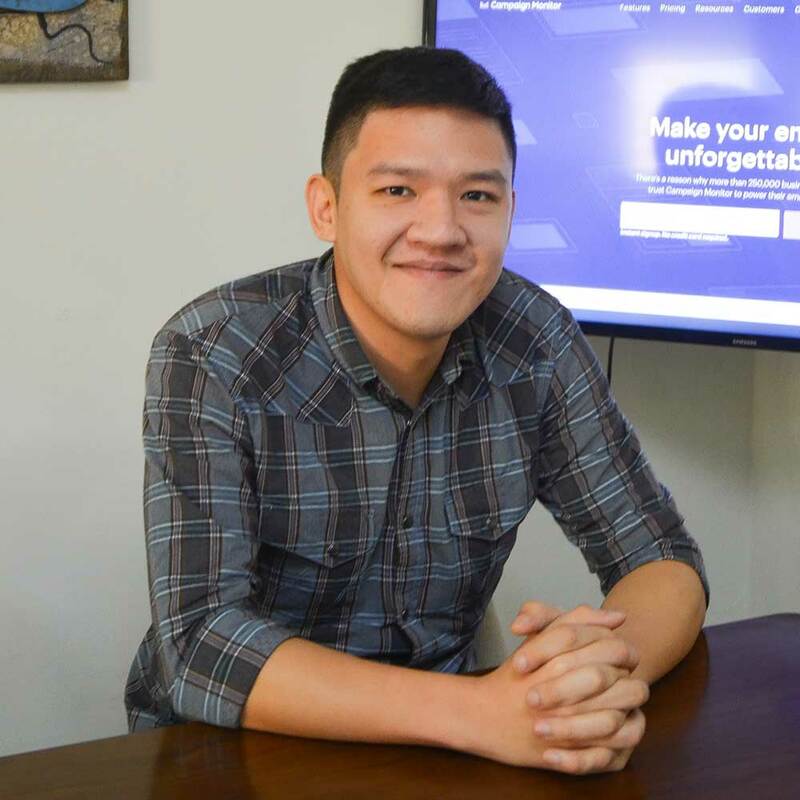 Jericho Gonzales is a Content Marketing Specialist at Campaign Monitor. 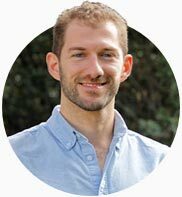 After seven years of being unhappy with his career in the financial industry, he decided to follow his dreams and become a writer. Besides writing, he is also passionate about all kinds of martial arts and practices whenever he can. 2What Does NAP Stand For And How Does It Affect My SEO? What Does NAP Stand For And How Does It Affect My SEO? Give us a call, schedule a chat, or send us a message. I answer all enquiries within 24 hours on business days.